Hobby Lobby Sicklerville Opens Monday Oct 5. Preview Photos Here! What more can we say about Gloucester Township this year? They’ve hit a Grand Slam in 2015 with many major openings. The absolute biggest deal in our coverage area was the Outlet Mall. Tilted Kilt opening on October 5th is a big deal, as there aren’t any other in the area. 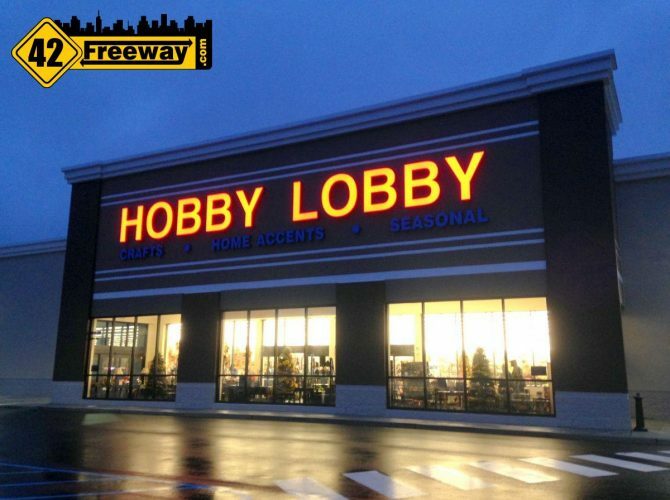 And now this.. Hobby Lobby also opens on Monday October 5th at 9am! Well, Monday is the official opening date, but those in the know realized that they have been in soft opening mode since Friday, and on a rainy Saturday evening 42Freeway stopped over to the brand new Sicklerville store and checked it out. 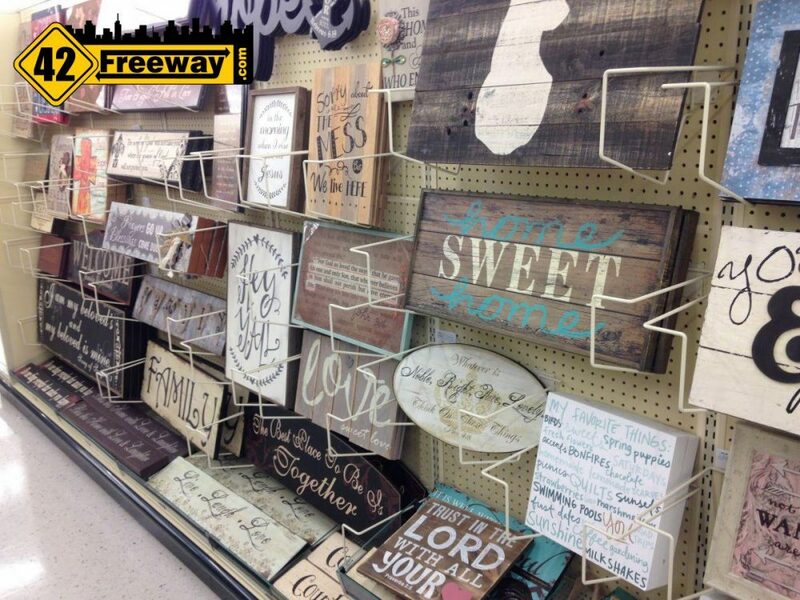 A quick disclosure: Saturday was my first visit to a Hobby Lobby store. 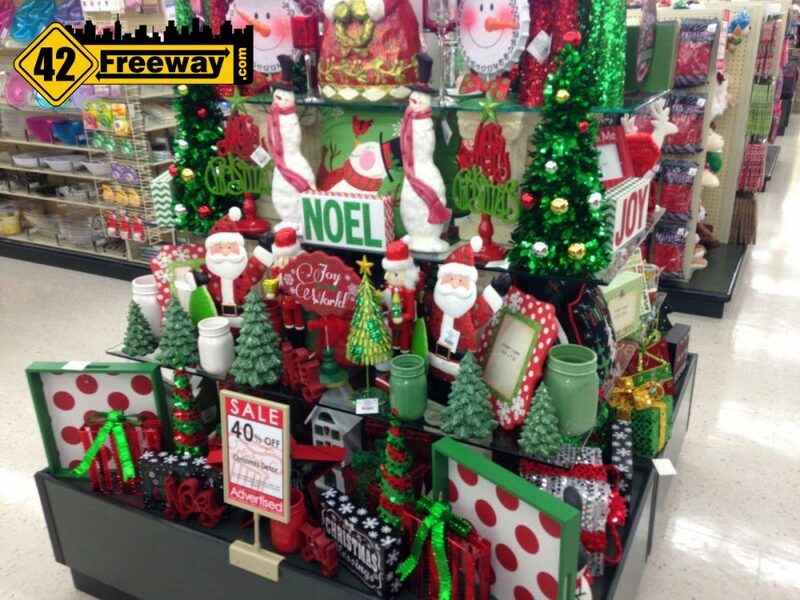 Oh, and while I am a crafty guy, craft stores aren’t really my thing. 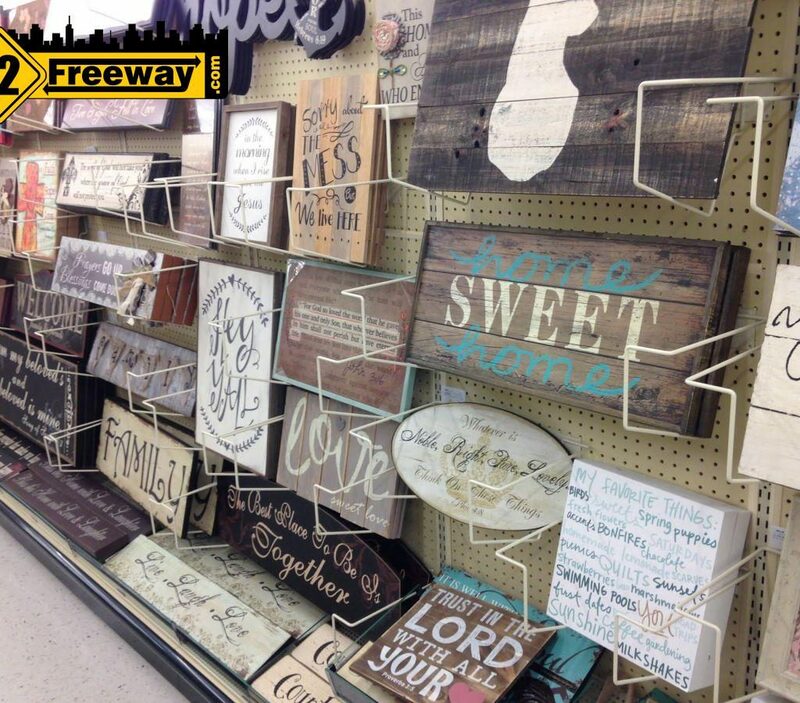 So honestly, I was blown away by Hobby Lobby. Not the “Hobby, cloth, frames, foam things” part of the store. 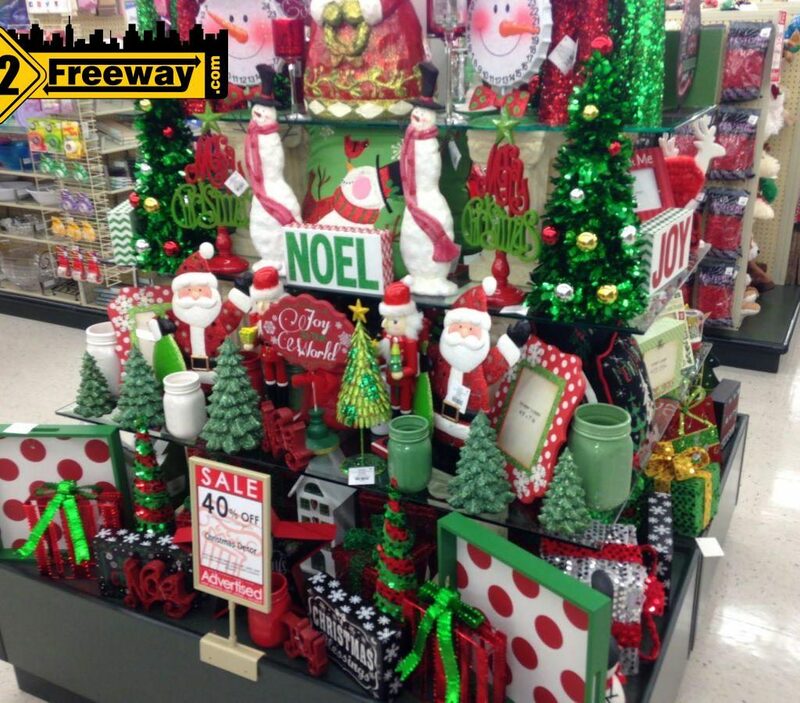 But the home décor items. 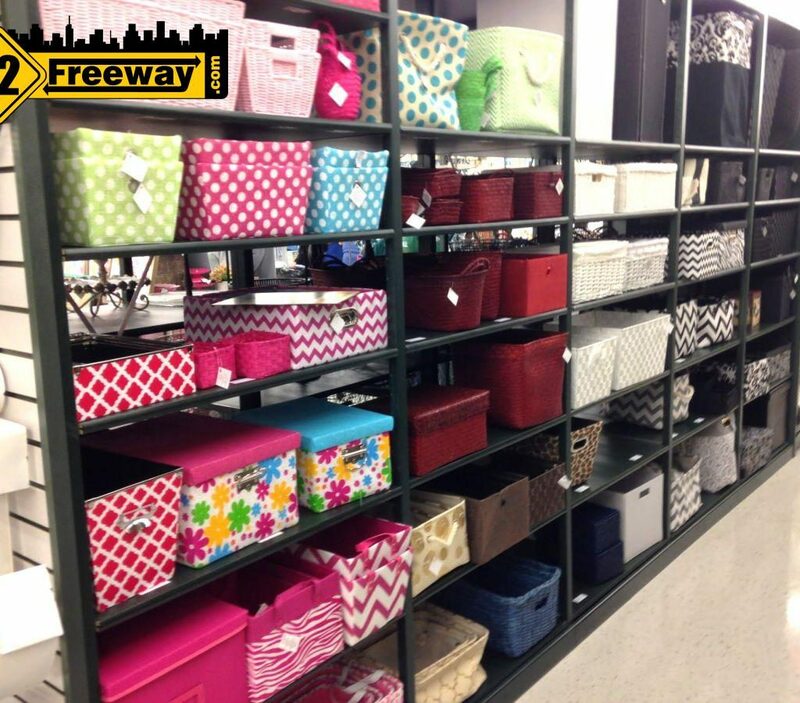 Almost half of the very large store is home décor. 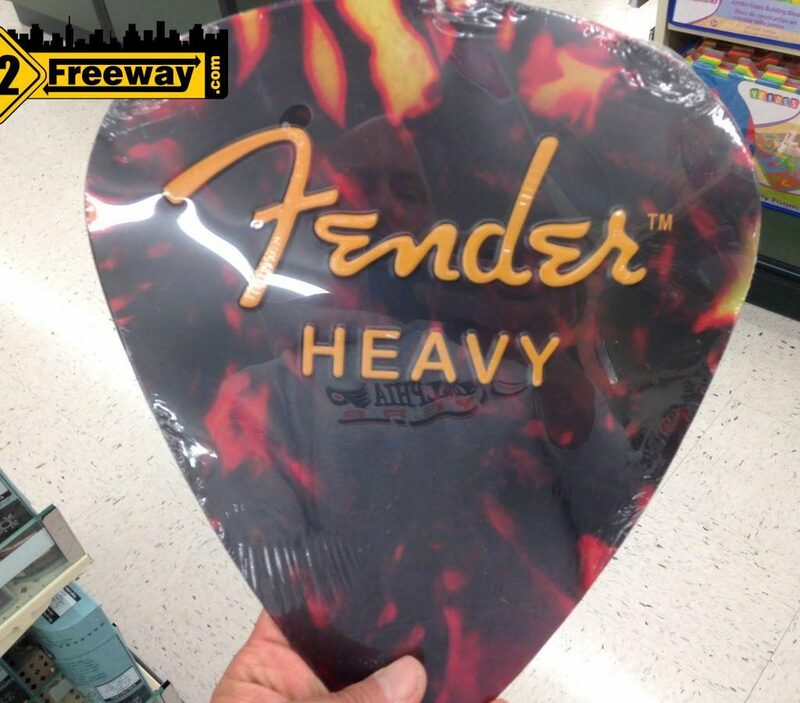 Cutting to the chase, there is a LARGE Man-cave section in the store. 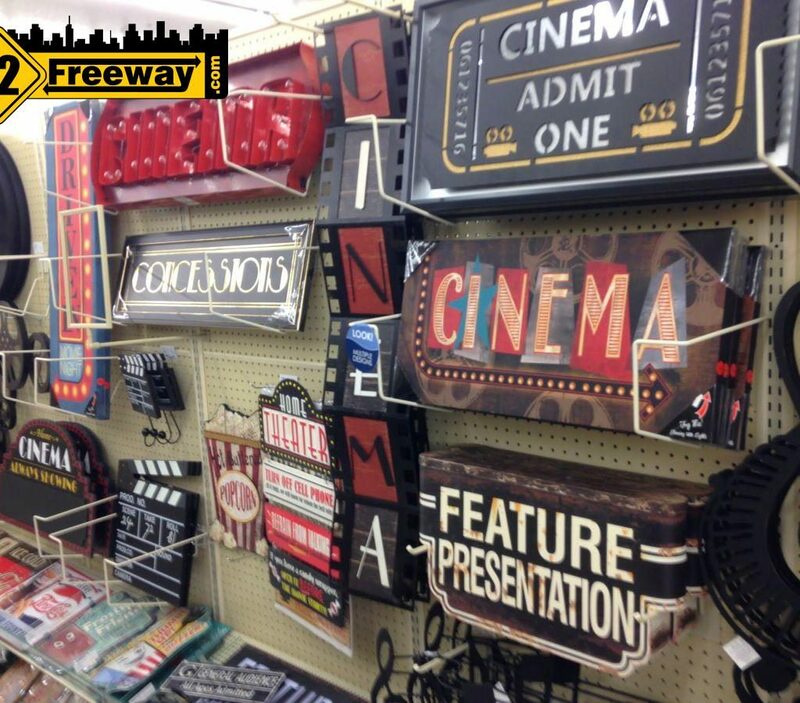 Décor such as wall plaques, signs and figurines for many manly things. You like cars? How about items featuring Corvettes, Mustangs, Chevy, Ford, Route 66, Motorcycles. 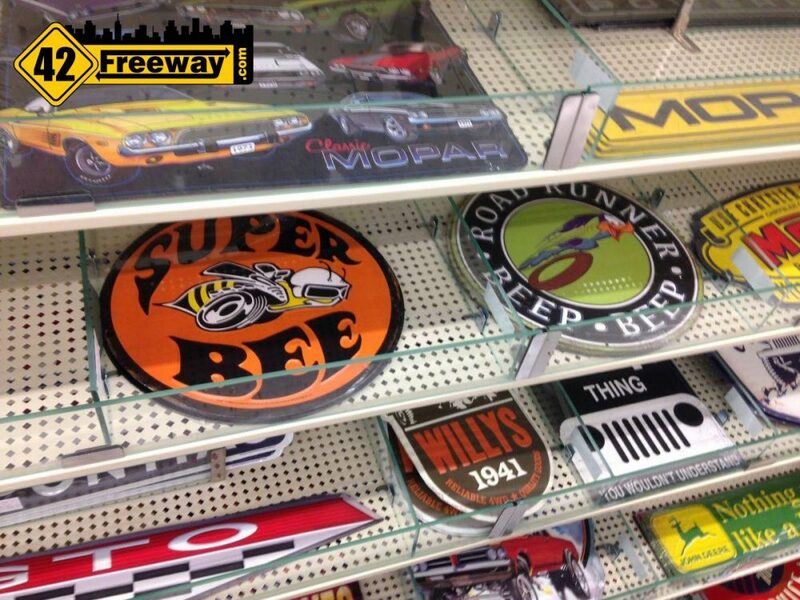 They even had a “Super Bee” logo sign. Really? 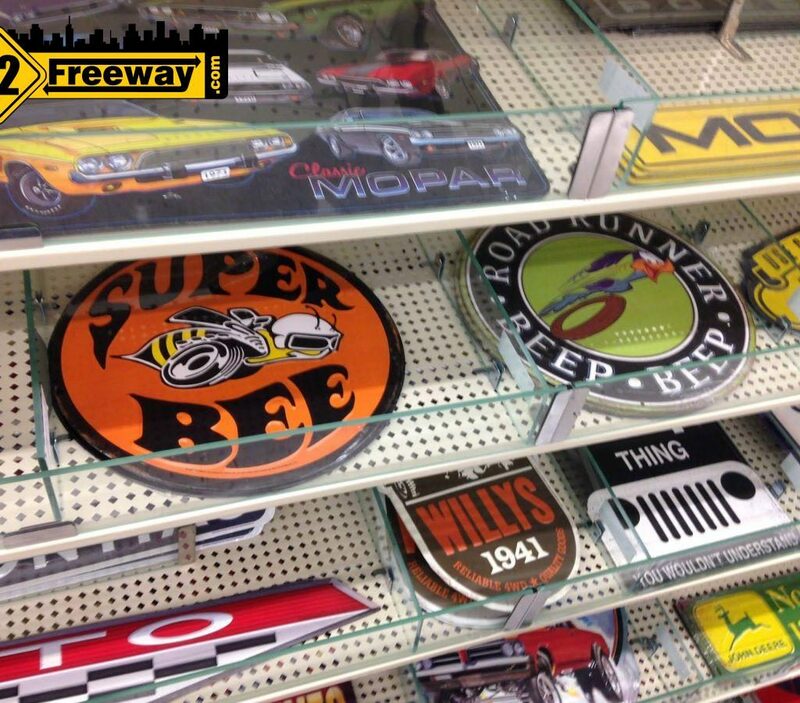 What major store offers a Super-Bee sign? 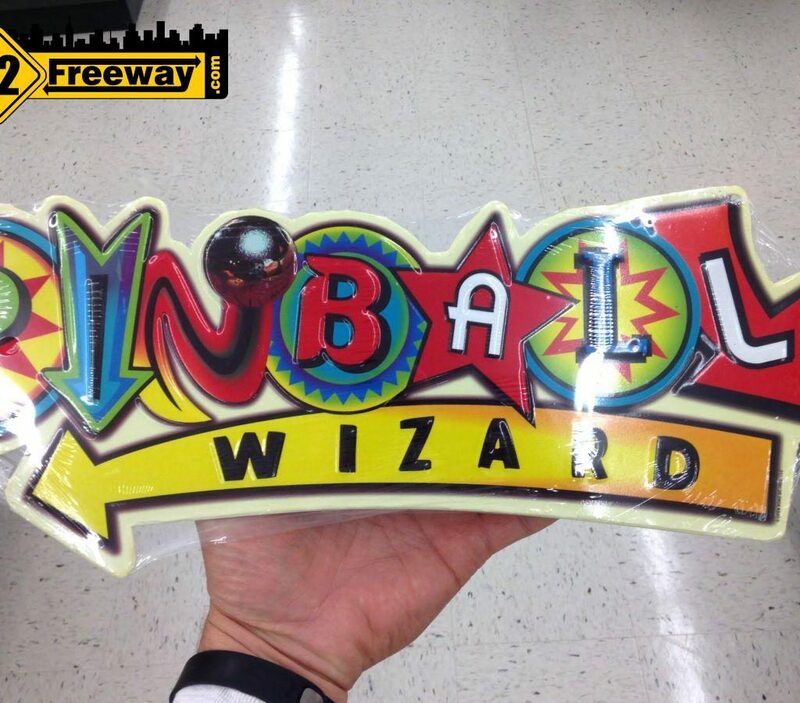 I knew something was different about this hobby store when I walked in and saw a small sign saying “Pinball Wizard”. This hits home for me (YouTube link. yeah that’s me). 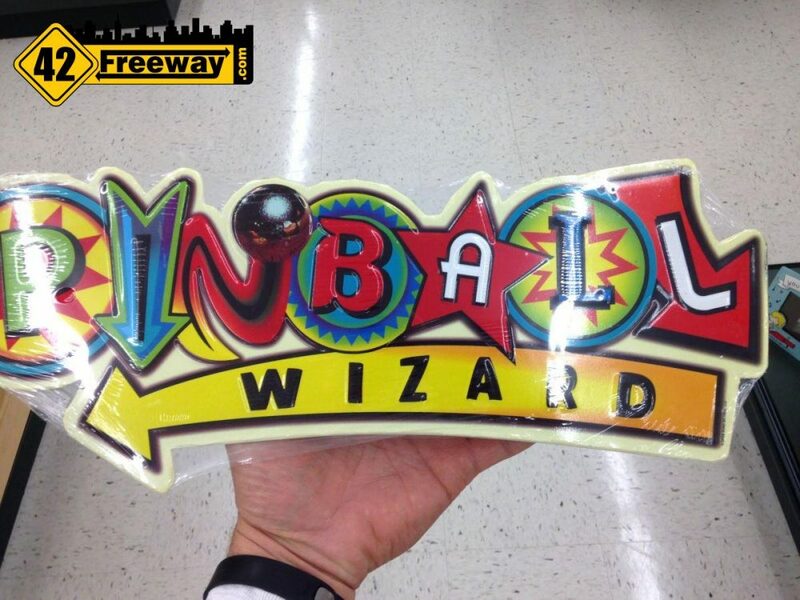 Again, what store has a pinball wizard sign? Not to mention themed sections billiards, and poker, and music. 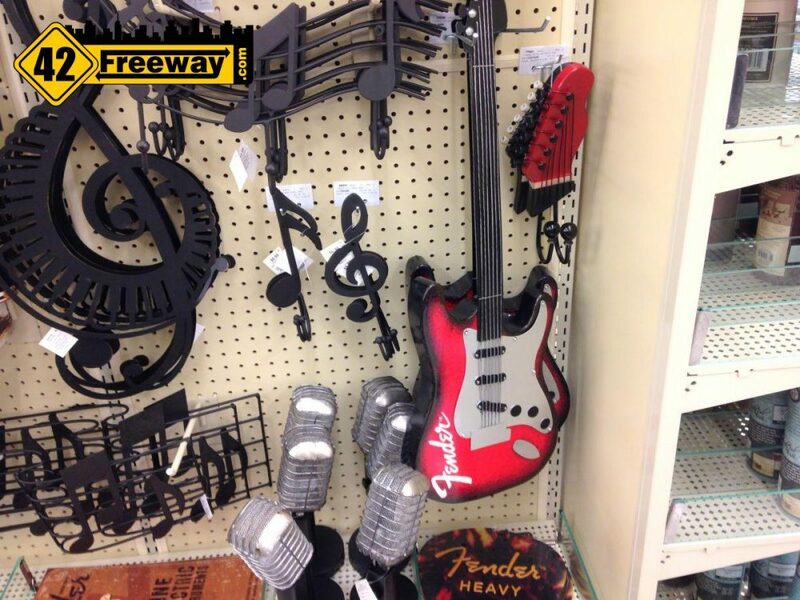 Oh yeah, lots of music items scattered around. 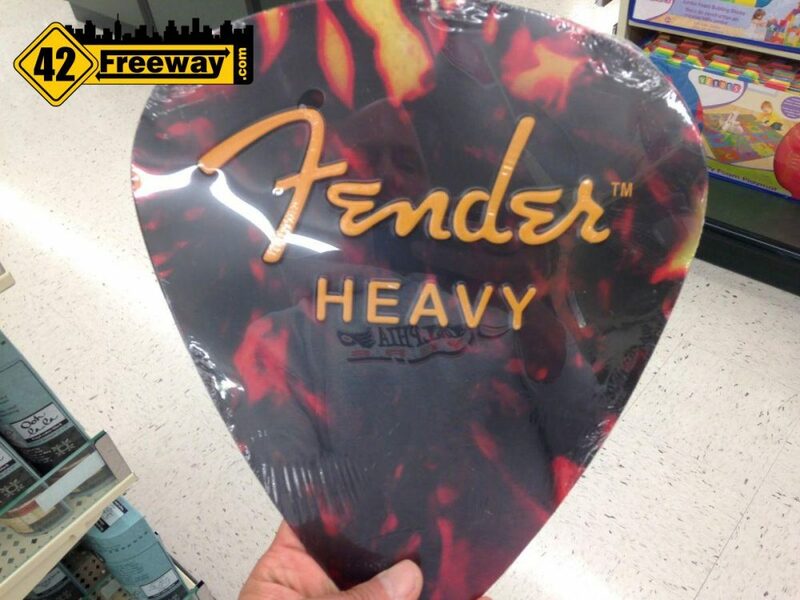 Fender Guitars décor is prominently featured, from giant sized Guitar pics to a replica guitar to hang on the wall! There are also themed section for Comic book characters, Religious, and many others. 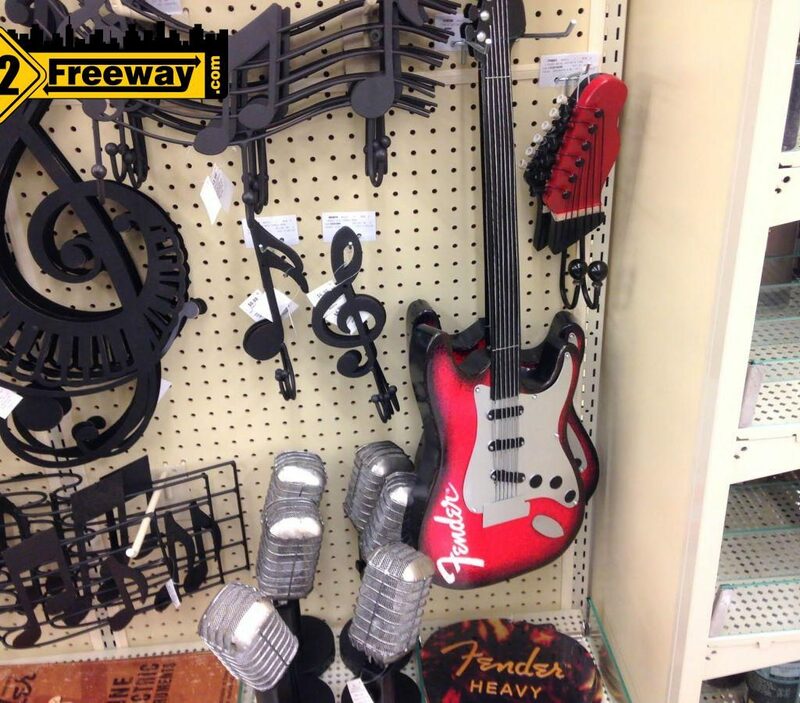 So yes.. its a hobby and craft store. But I get why it’s so much more. Definitely worth a trip over to Sicklerville to check it out! And grab a bite to eat at the new Plaza Azteca across the parking lot or the even newer Tilted Kilt located on the other side of the AC Expressway! Pics below were taken with a now “man that’s old” iPhone 5, so I apologize for the not-s0-great quality. Looking to upgrade soon. 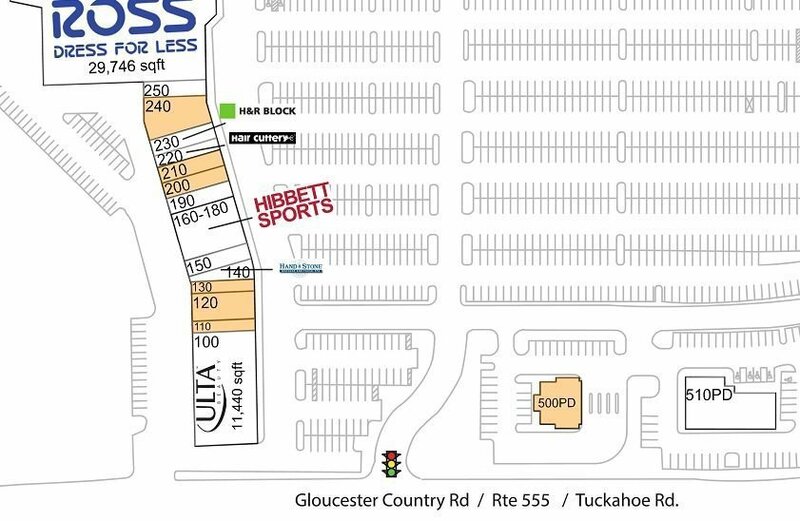 Hibbet Sports is a sports and sneaker retailer, and they are moving into Crosskeys Commons, which most know as the Turnersville Walmart Shopping center. More big things happening in Deptford along Almonesson Rd, as Bob's Discount Furniture readies itself for a February opening and is hiring, while the Burlington Store is having January Career Fairs. 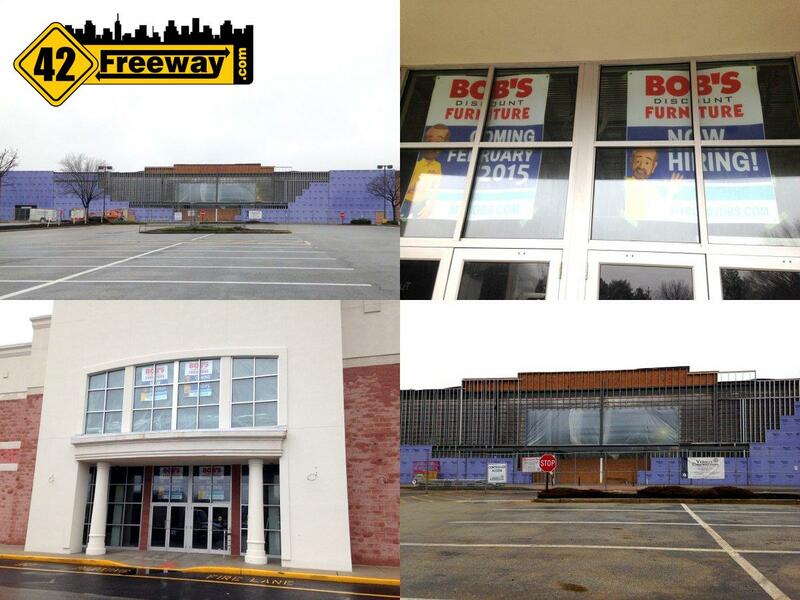 Read on to the article for Bob's Grand Opening Calendar and Burlington Hiring info! 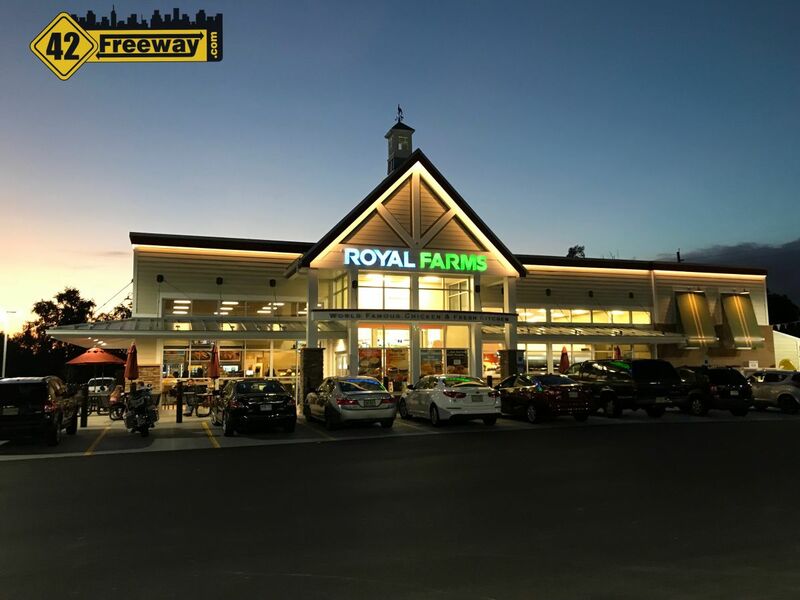 South Jersey's first Royal Farms has opened in Magnolia NJ, on the White Horse Pike. Click into the article to see my Facebook Live quick store walkthrough! Be sure to go and like our page! What about their yarn section? What’s it like. I love the choices that they had in Millville. Everyone loves the “I love thid yarn” brand. 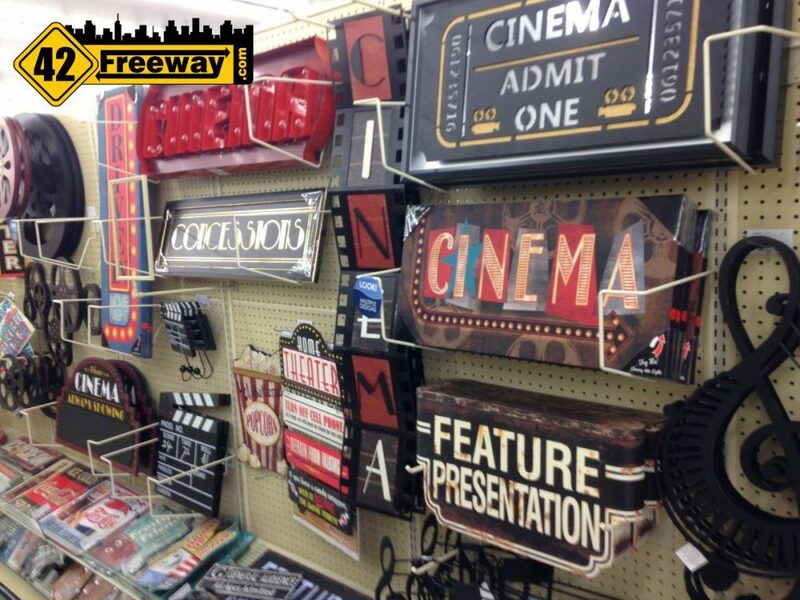 Have been to the Hobby Lobby in Henderson, NV and Vineland, NJ. 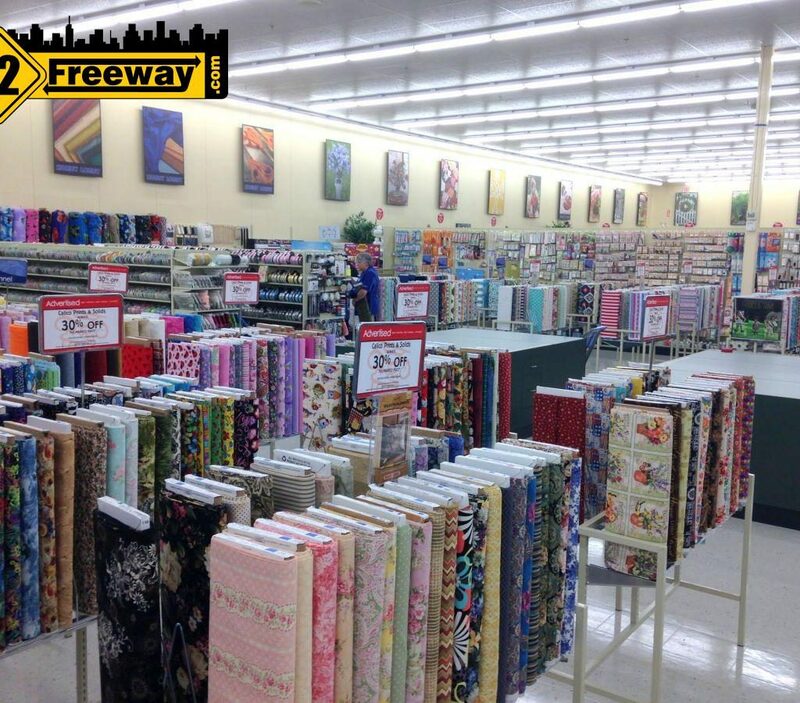 They have several aisles of yarn – most of which is different than what you find at Michaels, JoAnn’s. AC Moore or Walmart. It’s called “I Love This Yarn” for a good reason. Think you’ll be pleased. Not good employers for women who imagine themselves deserving of health care chosen by themselves ~ not by their sexist employers. Really? Keep your political opinions to yourself, they pay their employees well and are closed on Sundays so those same women and men can spend time with their families. Yes it is Larry, and homophobic, superstitous, and generally a complete waste of time. 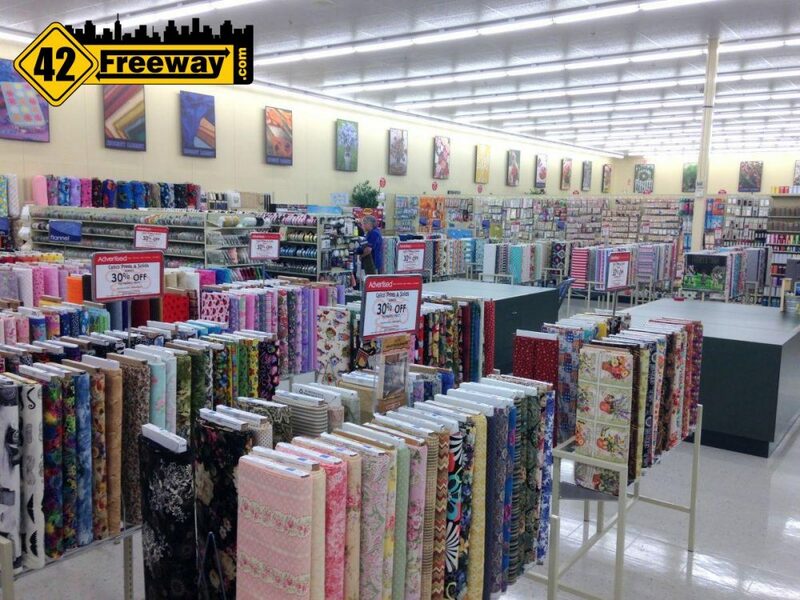 I went into Hobby Lobby last week because their Simplicity patterns were advertised for 99cents. When I got to the fabric department it turns out that they do not have a pattern book available for you to look at and pick out your desired patterns. 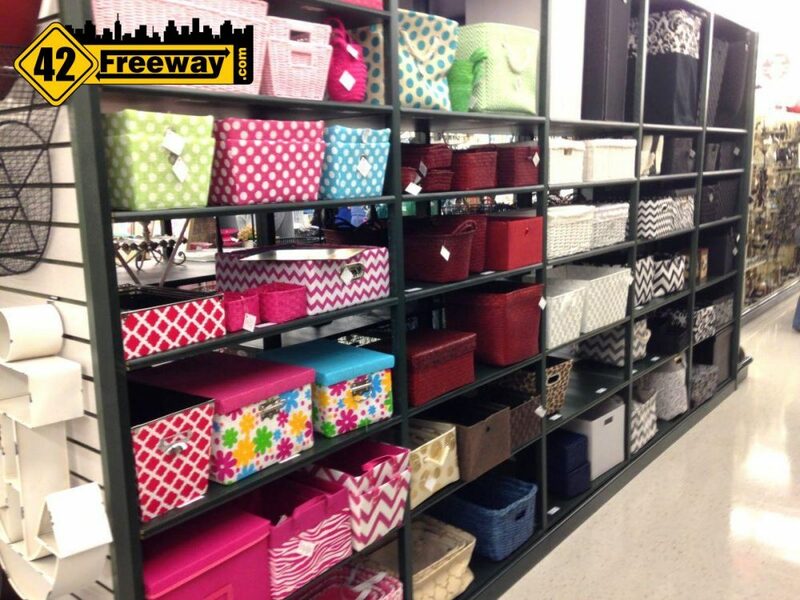 When I asked the women at the department I was told:” Well, the patterns are in the drawers.” Not only were there about 10 drawers to look in, but they were not labeled as to number. Poor planning on someone’s part. Hope they get it right eventually. previous post: Tilted Kilt Sicklerville Preview Photos! Opens Monday Oct 5!